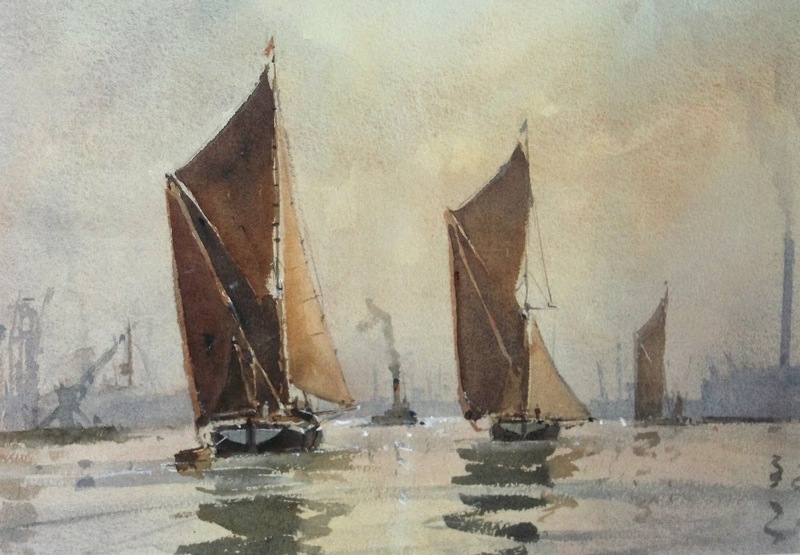 The Royal Society of Marine Artists (RSMA) is holding a selling exhibition, Celebrating the Sea, at St Barbe Museum & Art Gallery, Lymington from Saturday, 7th March until Saturday 18th April. A focal point for much of Britain's finest contemporary marine art, the RSMA includes many of the country's leading artists on the subject. The society last exhibited at St Barbe in 2003, when it was received with great enthusiasm by the museum’s visitors. This country is an island nation with a proud maritime heritage; the coastline presents a huge variety of often spectacular scenery. Members' work is generally representational, but styles, subject matter and medium vary enormously. Some artists specialise in thoroughly researched historical subjects, others capture the thrill of modern yacht racing or enjoy muddy creeks and quiet harbours; others find beauty in super-tankers and cargo vessels and some find inspiration from the sea while others explore what's under the water. The unifying factor is that the sea is always the main source of inspiration. Tickets to the Royal Society of Marine Artists Celebrating the Sea exhibition, which include entry into St Barbe Museum, cost £6 for adults, £5 for senior citizens and students, £3 for children aged five to 15, and £12 for a family of two adults and up to four children; under fives are admitted free of charge. St Barbe Museum & Art Gallery is open between 10am and 4pm, Monday to Saturday (closed Sunday). For more details visit www.stbarbe-museum.org.uk or telephone 01590 676969; further information about the society can be found on www.rsma-web.co.uk. The RSMA exhibition is sponsored by Thesis Asset Management.